The solar panel job boom is over. The solar job boom is not. Tracy Woodburn grew up in rural Missouri, moving between small towns of a few hundred residents. He graduated from Fayette High School with a class of roughly 40 students. But, while most of his classmates settled in central Missouri, Woodburn kept moving. He lived in ten different towns in Missouri, then five different towns in Texas, and finally — because this is how stories like this go — made his way to California. In so doing, he unwittingly became part of two trends: one changing how young professionals spend their energy, the other altering how energy itself is generated. Woodburn moved because he’s 28 years old and a nature guy and his impulse to consider the wild — “The world’s too beautiful to miss out,” he says — pushed him toward a career in the growing field of clean energy technology. He made his choice for practical reasons. 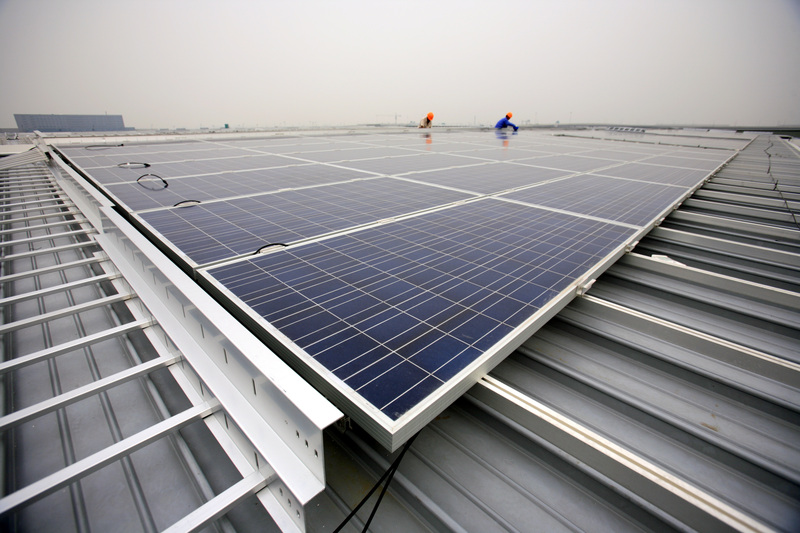 “It seemed, with solar, there was a lot more work and education,” he recalls. He was and is right. According to the National Solar Jobs Census released mid-February, the solar industry grew 17 times faster than the rest of the economy in 2016. Woodburn now works as a solar panel installer for Horizon Solar Power. The reliable, blue-collar job of the future likely isn’t in manufacturing or coal or oil, but in solar and green energy storage, which is swiftly outpacing growth in other industries. Like Elon Musk, Woodburn and his coworkers generally believe that the elimination of solar subsidies in 2022 will do little to alter the sunny outlook for the industry. The data-supported optimism around solar seems to be contagious, especially among young men looking for a gig. The US Department of Energy found that across all types of employment, the percentage of jobs in solar has steadily climbed since 2015. The National Solar Jobs Census, released this month by the Solar Foundation, a non-profit that works for the advancement of solar, paints a picture of an industry that is rapidly growing to be an important source of blue-collar work in America. With the solar subsidies ramping down from 30 percent starting in 2019 and running out after 2022, the industry is on the brink of standing on its own. Then it will learn to walk. Then it will try to run. The 102-acre, 15-megawatt Solar Array II Generating Station at Nellis Air Force Base in Las Vegas, Nevada. Stuart Clark, lead faculty member for the applied engineering program at Colorado Mountain College, says the 2017 growth projections for the solar industry are already being “destroyed.” This is because the demand for solar power has grown as the cost of solar panels has diminished. The now decreasing solar subsidies seem to have worked, incubating a sustainable — in all senses — industry. And a massive one at that. Clark’s program trains students to install solar systems, including elaborate automated mounts that shake of snow and follow the sun. Woodburn didn’t go to a college training program for engineers, but when he decided to go into the industry he took classes in solar photovoltaics and received his entry level North American Board of Certified Energy Practitioners solar PV certification. It cost him about $2,000. “It’s a really low amount of money if you think about how fast I got a job,” he says. Horizon Solar Power hired him almost as soon as he became certified. 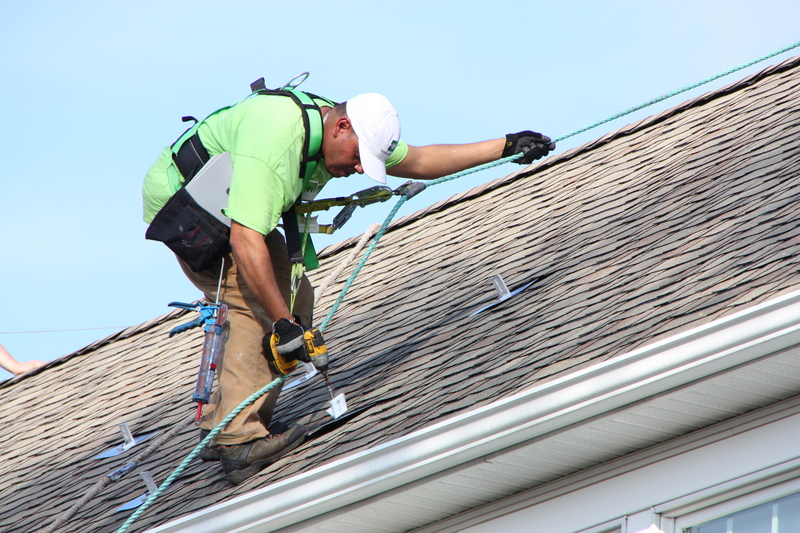 A solar panel installer drilling holes into the roof to mount solar panels. Now, he sets aside time each night to review the job sites he will be going to in the morning, so his morning trip to pick up the tech he needs will go quickly. Once the truck is loaded, a team of about six guys heads to the first installation. Two of them make up the ground crew, doing the electrical work to hook the solar panels into either the grid or battery systems. The rest of the team heads up to the roof where they mount the panels and try to avoid heat stroke. The rest of the team, speaking both specifically and generally, generally consists of men. 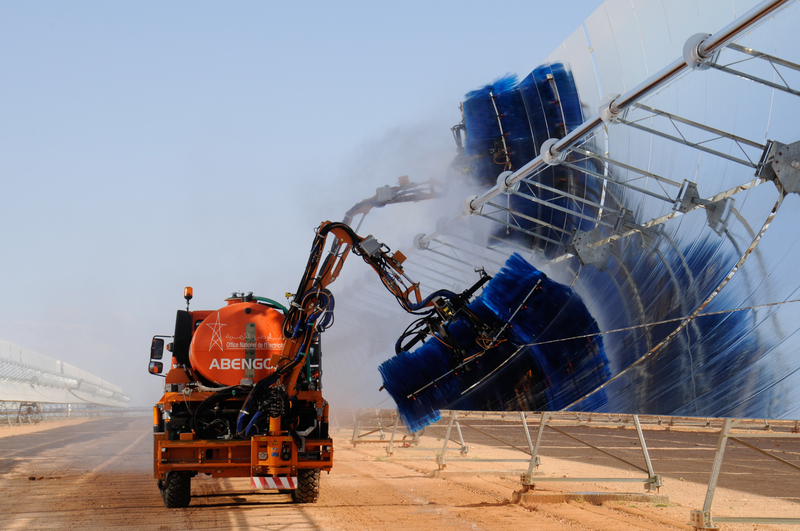 There is a gender gap in blue collar solar work. Women in the solar industry mostly work in solar sales and on large-scale project management, where there has been massive job growth. Still, the number of installed solar panels isn’t necessarily exploding — that already happened. 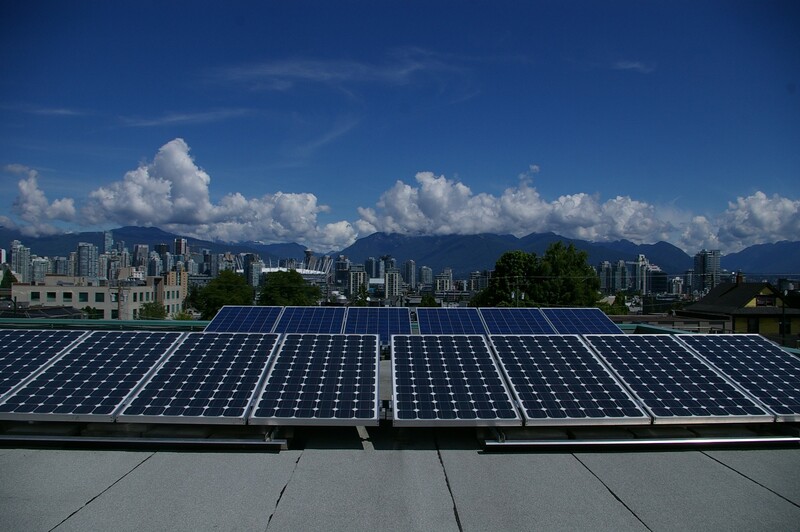 Machines can clean solar panels in large arrays, but you can't do this to panels on residential roofs. “Once all of these homes have solar panels they’re not going to need new ones for another 30 years, but they are going to need to be cleaned and maintained,” Woodburn says. Keeping solar panels working efficiently is steady work that he doesn’t imagine will go away anytime soon, and it requires some skill, although it’s not glamorous. That’s not the work he intends to be doing for the rest of his career. Woodburn hopes that a year and a half from now he would have his own off-grid solar crew. “I like Utah a lot, and they seem to be like the fifth or sixth most promising state [for solar] and they haven’t really done much,” he says. “I would like to be in another state helping them grow their solar possibilities.” With Utah being one of the five states that added the most solar jobs in the last year, and taking solar off-grid becoming a popular part of the installation process, it’s a promising future.